Spearfishers often use fins to move fast through the water and retain an advantageous body position. Today, there are two primary types of fins on the market: open heeled and close heeled. Open heeled fins can be worn with dive boots, allowing fishermen to safely take on rough terrain. Close heeled fins are a better option when free diving, as their streamlined design increases power and provides a secure fit. In addition to fin type, you’ll also want to consider other factors like blade length, material, and stiffness. 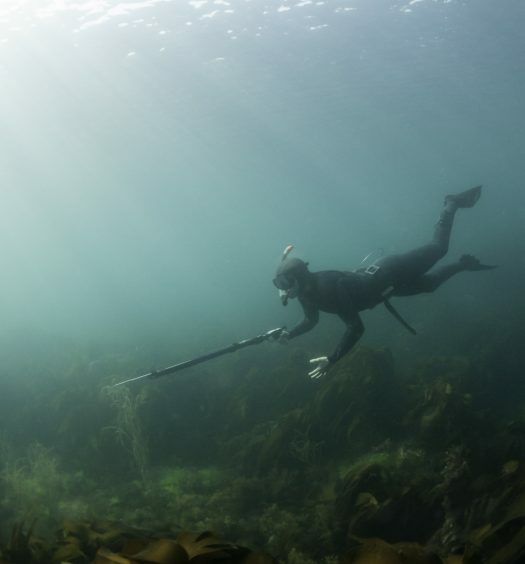 Whether you’re new to the sport or are a spearfishing pro, you’ll want to compare features to find a fin set suited for your experience level, comfort, and budget. Efficiency is key when you’re diving underwater with a limited supply of air. The right pair of fins can help you get around faster and easier with less effort. No matter which type you choose, you’ll want to ensure that the fins fit snugly. 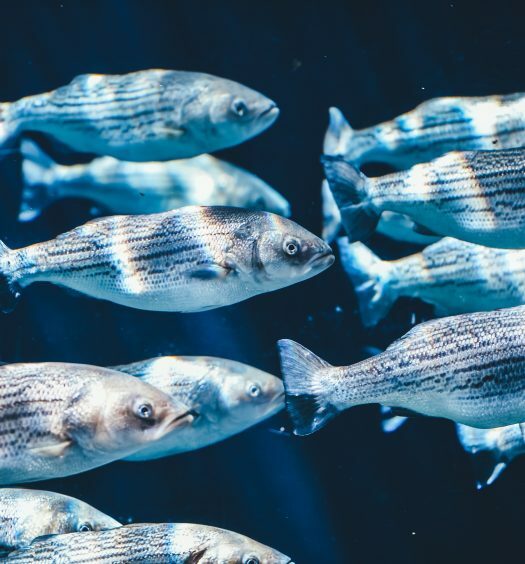 A loose-fitting pair of fins will not only perform poorly, but will irritate your skin, causing blisters and possibly foot cramps. Wearing a pair of neoprene socks can help improve the fit of fins. Material: One of the first things you’ll notice when shopping for fins is the range of materials available. Plastic is one of the most common and inexpensive, but do not always perform up to par. Fiberglass and carbon are costlier but are generally superior to plastic when it comes to power. Hardness: The hardness of fins will make a significant difference in how you perform in the water. Soft fins make it easier to kick as there is less resistance. Hard fins are more difficult to manage but generate more force. Medium fins have aspects of both soft and hard. Pockets: Foot pockets are the space on the fin in which the foot goes into. Some fins feature interchangeable blades, which translates to interchangeable foot pockets. This allows you to easily change the performance of your fins without having to purchase a new pair. 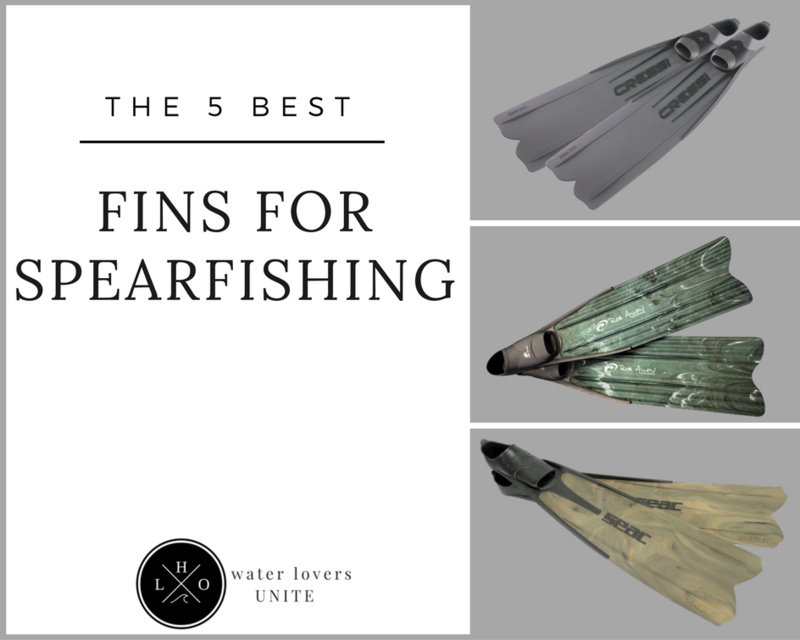 Specialty: While long-blade fins are optimal for the majority of free divers, some more experienced spearfishers may want to try a specialty fin. Monofins are single fins that resemble a whale’s tail. This large fin can be difficult to maneuver at first, but with practice, can help you reach better depths and distances. Diving fins come in a variety of styles, but long blade fins are among the best for spearfishers looking to gain an upper hand on their prey. 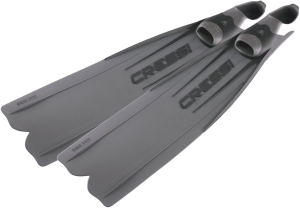 The Cressi Men’s Gara 3000 LD Long-Distance Long Blade Diving Fins are designed exclusively for long-distance diving. The unique design requires less muscle effort while kicking, leading to less leg fatigue. Constructed of a softer blade material than the original Gara 3000, this redesigned fin provides an extra boost of power, while being less demanding on the muscles. 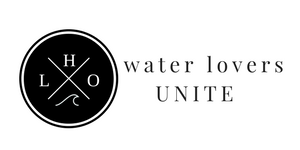 Without the worry of leg fatigue, you can remain under water for longer periods of time. This set of fins also comes with a full manufacturer’s warranty. 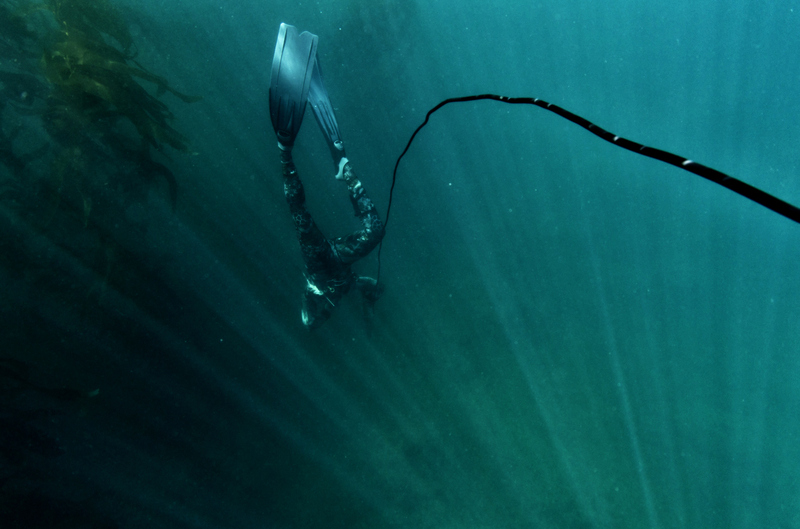 The type of fin you use while spearfishing has a direct correlation to the amount of energy and oxygen you use. The Mares Instinct Pro Polytec Spearfishing Fins is an excellent option for divers looking to optimize their performance. Available in several sizes and colors, the versatile fins can help instantly boost your power and thrust. The top-rated fins feature tapered-section blades and micro-ribs, helping you glide through the water with minimal effort. Constructed out of techno-polymer, the fins feature a flexible material and new shape and design that increases comfort while providing increased power to the blade. The “V” shaped blade helps prevent slippage. Amazing fins for the price! There are fins for swimming, free diving, snorkeling, body surfing, and various other water sports. 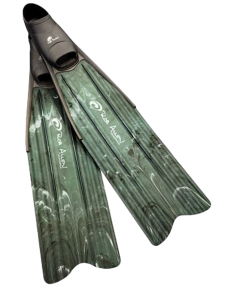 The SEAC Shout S900 Diving Fins in camo is a versatile fin set, available in a range of sizes for men and women. 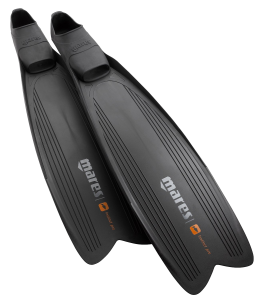 What make this product the best fins for spearfishing is their comfortable design, dual-material, and closed shoe style. The composite full foot fins are non-vented and feature a medium-hard blade that works well when spearfishing and free diving. The blade angle is specifically designed at an anatomically accurate 22-degrees which provides the user with superior performance with less physical effort. Excellent fins for the serious free diver! Fins are one of the most important pieces of spearfishing gear. 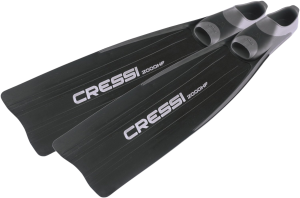 When you want quality and simplicity, consider the Cressi GARA 2000 HF, Freediving Spearfishing Fins. Made in Italy, these popular long blade diving fins are available in a variety of sizes and comes with a full manufacturer’s warranty. The fins feature a patented three material design that ensures long-term durability. The technically-advanced free long blade diving fin is designed for both beginner spearfishers and more experienced divers. The fins are slightly more rigid, allowing you to achieve more distance without as much kicking. These fins earn 5 stars! When purchasing diving fins, it’s important to find the perfect fit as this will result in more power, comfort, and efficiency. 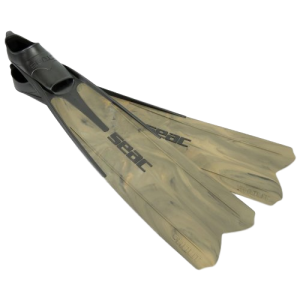 The Rob Allen Scorpia Freediving Fins Plastic Long Blade Spearfishing Fins are considered one of the best fitting and most durable set of freediving fins available on the market today. The molded rubber foot pocket is specifically engineered for a close fit while preventing over flexing. This results in higher transmission of leg energy to the fin blade. Rob Allen fins are economical and perfect for beginner spearfishers. What really make them the best fins for spearfishing is the softened blade with channels for optimal water transfer. They are amazing – Five stars!